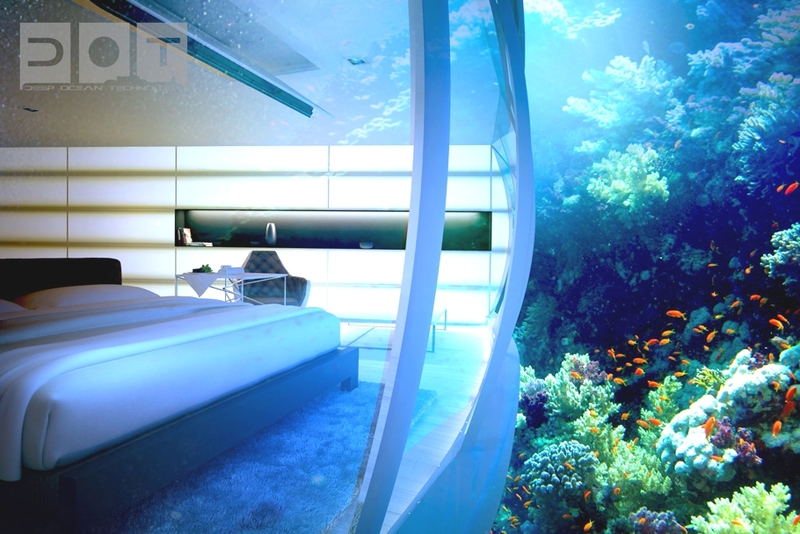 Underwater Hotel – Dubai | Ooh, my favorite! 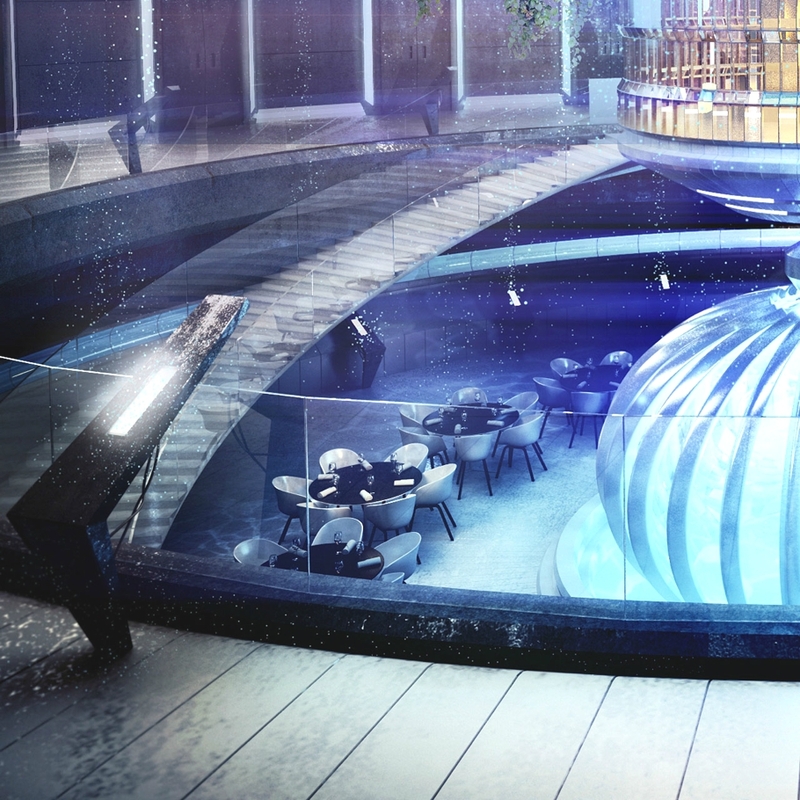 These concept designs are for Deep Ocean Technology‘s soon-to-be luxury hotel in Dubai. The hotel consists of a series of discs above and below the surface of the water. 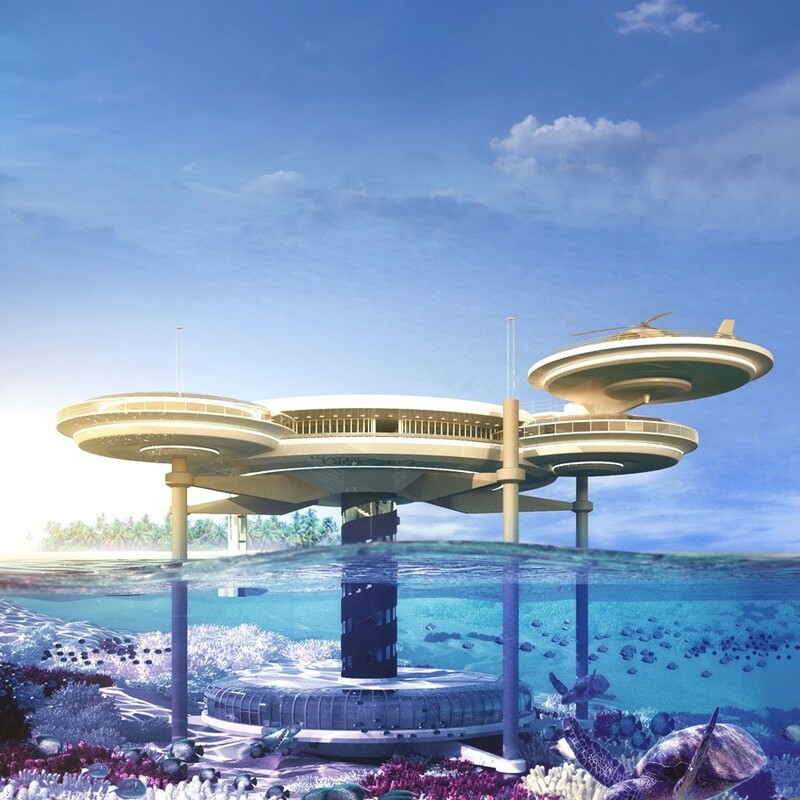 Below the surface there are 21 rooms, an underwater dive center, and a bar. Above are the lobby, restaurant, spa, and recreation areas. Anyone else have visions of Louis Gossett Jr. and a giant shark? Regardless though, it’s a really cool concept. Seems they’ve also seen Jaws 3 so the plans call for a safety system that’s integrated with international weather and earthquake warning systems, cameras, and remotely operated underwater vehicles stationed around the underwater discs. Could you actually do it? Like stay there for real?